We love boutique hand wired amps as much as anyone. There are no shortages of offerings on the market for the price of a halfway decent used car. Do they deliver above and beyond the larger production models from the big names that sell for a grand or two less? Some do. Some don’t. But Friedman amps deservedly make the shorter “do” list. We fired up the Friedman BE100 in a variety of situations, and are still smiling from gear bliss, even after paying the credit card bill (we were smitten from the first NAMM Show introduction). This amp delivers monster tone for rock and metal, and then some! Dave Friedman has long been regarded as one of the few tone gurus who gets the modded Marshall tone perfect, and his work has been in steady demand for the better part of three decades—just ask clients like Eddie Van Halen and Steve Stevens. Three years ago, Friedman Amplification was officially born and has been garnering rave reviews from the start. After playing the fantastic BE100, it’s easy to hear and feel why. 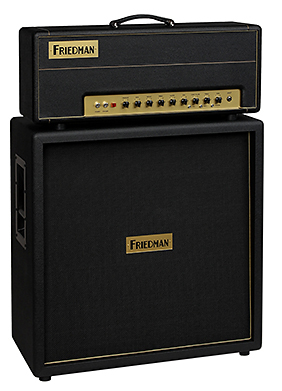 The Friedman BE100 is a high-gain, tube-toting terror! It’s a three-channel, 100W head (though it functions more like a two-channel amp with a boost circuit (HBE) that is dedicated to the dirty channel (labeled BE)). Four EL-34s and four 12ax7s make up the amp’s tube compliment. Starting from the left on the face of the amp’s control panel, we have familiar Marshall Plexi- style power and standby toggles along with a red, square, power indicator lamp. Typical Presence, Bass, Middle, Treble, Master and Gain knobs make up the BE (high gain) channel. Clean Volume, Bass and Treble govern the clean channel of the amp, rounding out the knobs on the faceplate. Three toggle switches appear on the front of the amp as well. 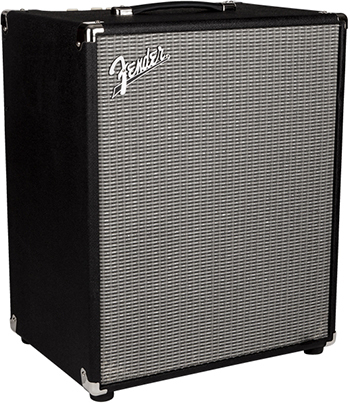 Voice serves to affect the dirty channel of the amp to give it two distinct flavors. The Bright switch is a three-position toggle that affects the clean channel, giving various starting points to pepper the bass and treble knobs to. The last toggle on the face of the amp is the channel selector, for use when a footswitch is not available. On the rear of the amp are a few more toggles for customizing the tone. The first is the FAT switch, intended for thickening up the tone when playing with single coil or other lower output pickups. The C45 switch directly affects the gain, adding a little more push, and enhances highs and lows. 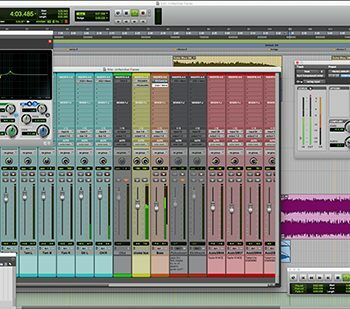 The last toggle, SAT (as in Saturation), compresses the sound and adds a bit of increased gain and sustain. 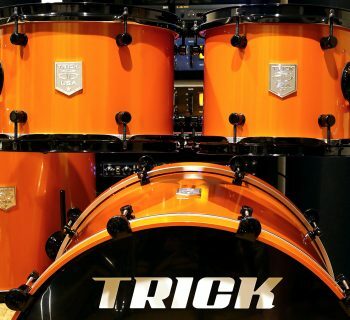 The series effects loop has a send and return jack as well as a Return Level knob, which can be used to adjust overall loop volume when it is engaged (in delicate harmony with the Master knob, explained further in Usability). A line out jack includes a send level knob, which makes it quite versatile, since you can easily adjust it for use as a dedicated tuner output or for slaving to a second amp. Two speaker outputs with an impendence selector switch rounds out the features on the back of the amp. The two-button footswitch (included) lets you switch between the clean and BE channel on one switch, and the second switch selects the boost (HBE). The BE100 was a simply laid out 100w head—very easy to use, effects loop not withstanding (more on that later). Dialing in great tone was as straightforward as plugging in a guitar and speaker cabinet, setting reasonable volume and tone levels, and playing a few notes. The footswitch jack is a common ¼” variety so the amp could play nicely with our other switching hardware if we chose to connect it in that manner. The voicing toggles are split between the front and the back of the amp, with the ones “typically” used less frequently out of the way in the rear. We understand that toggle placement typically happens as a result of either circuit board layout necessities or because the designer feels certain controls are more set-and-forget. Given just how versatile some of these switches were, though, our personal preference would have been to have easier access to more of them from the front panel. The effects loop controls were a bit more problematic. A toggle in the back of the amp switched the loop on or off. We just left it on most of the time, but adding a third button to the footswitch for instant bypass would make this more functional. One other thing that disturbed us was a significant drop in volume when the SAT switch was engaged. Friendman suggest that you’ll have to adjust the volume to compensate, which means you really want to set it and forget it for your entire gig. We would love for this option to be switchable (and with a makeup gain control), as it would eliminate a pedal from our overcrowded pedalboard. As much as we enjoyed playing live with this amp, without footswitch control over more of the amp’s awesome controls, we often times found ourselves wishing for a bit more on-the-fly control. But if you can live with some of the performance challenges (as we intend to, thanks to the glorious tone this amp delivers), you’ll find nirvana quite quickly. We have used this amp for a few months now, and it has become a go-to tone machine in our arsenal. The amp saw situations ranging from bedroom rehearsal to a large outdoors gig in the park for several thousand fans to numerous bar/club gigs in between. For starters, we fired up the amp with our Marshall 1960BX 100w 4x12 speaker cabinet (Celestion G12M-25 Greenbacks). With the effects loop off, we tested the three channels of the amp to see where we were starting tone-wise. Bone dry clean and dirty sounds were each fantastic and very useable as is. The amp on the clean channel was punchy and extremely dynamic. There was virtually no breakup whatsoever, unless we went to ear splitting volume. The bright toggle switch seemed to deliver three distinct EQ sweeps, affecting a wide spectrum tonally, though most pronounced in the higher frequencies. This was the only toggle to affect the clean channel. Satisfied we now had a high gain head with a great clean channel, we moved on to see how this amp sounded dirty. AMAZING! Switching over to the BE channel during our initial test, we had the bass pretty far over to the right. Mids, treble and presence all were at twelve o’clock. The sound of this amp throughout the spectrum of the gain knob became apparent and very characteristic of this head. It had a certain bite to it that sounded all its own. We were not happy with the taper of the gain knob, however. The amp breathes fire with the gain at about 3. Past 5 or 6 it yields only marginal increases. Basically, use this knob sparingly! Understandably, this is a high-gain head. We’d just liked to find a bit more taper to the gain knob, because surely there are many useable and fantastic mid-gain tones to be had. Dave Friedman informed us that he performs a mod to the gain controls for just this purpose. That’s one of the beauties of buying from a small builder: ask and ye shall receive. We were happy to discover that when rolling back the guitar’s volume, there are a host of useable in-between sounds to be had. The amp went from full on, face melting, high gain to just a hint of hair throughout the volume spectrum of the guitar’s volume knob. The HBE channel was more pushed and in-your-face sounding. It was like playing a ruder BE channel. 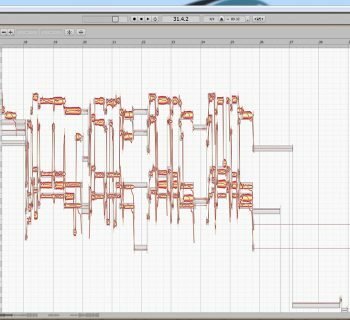 The fun thing between the two channels was that going from playing a lead on the HBE to rhythm on the BE channel never felt like we were scaling back too much in terms of gain, presence, or punch. The HBE is best described as “more” of the BE channels greatness. Our next sound test was at an outdoor event in New York, with several thousand people in attendance. We needed this amp to deliver! Mated to the BE100 was our well-stocked pedalboard complete with effects from Eventide, TC Electronic, Neunaber, Boss, and more. We used a matching Friedman 412 speaker cabinet this time, with their standard speaker configuration: Celestion Greenbacks on top and Vintage-30s on bottom. The Friedman 412 speaker cabinet was perfectly matched for the BE100, and the speaker combination yielded a beautiful, three-dimensional and more articulate sound than a typical arrangement of identical speakers. The effects loop proved to be wonderfully transparent. There was never any tone loss while the loop was engaged. Engaging the C45 switch did something unfavorable to the sound of our Gibson Les Paul Custom, but gave just the right bite to our Ibanez Jem with single-coil Evolution pickups. For high-output humbuckers, we felt the amp sounded better with the C45 switch disengaged, but for single coils, it was a must-have. The FAT switch thickened things up nicely, too, with our choice being very song- and guitar-dependent. The SAT switch compressed the output in an urgent, almost uncontrollable way. Without any means of output reduction (i.e. power soak), the BE-100 did man-cave volume… um… splendidly, which is to say that the bee colony outside took the day off. Even when running the amp at a low volume, and throughout the entire volume range, the amp creates a useable, instantly recognizable sound we can’t live without. At no time did we wish we brought a smaller amp for the situation, including a basement rehearsal in a small room (certain other high-gain amps of ours would easily have left us regretting that choice). Demo of the BE100 performed by Doug Rappoport. Video courtesy of Friedman Amplification. A comprehensive user’s manual was included with the BE100. No stone was left unturned regarding the features and functions of the amp. Further, Dave Friedman himself still fields emails and calls when users have questions. Talk about the royal treatment! We got answers from the king himself! An iron clad lifetime warranty comes with every new Friedman amp, protecting your investment in great tone for decades to come. The Friedman BE100 sells for $3,699, which places it in the boutique realm. Hand-wired, made-in-the-USA amps certainly aren’t cheap, but here, you’ll get an amp that Dave Friedman himself has personally tested (and signed) before it leaves the factory. There are many competitors at this price point, so your choice of amp is going to come down to balancing your interest in specific features, hand-assembled, short-run production pieces, and desired tone. With pretty straightforward features, the obvious appeal of this amp is the tone. It’s glorious and versatile, and in that department, the BE100 should not disappoint anyone looking for a very special rock and metal monster. If it does disappoint, however, simply sent it to us. We’ll gladly take another one.